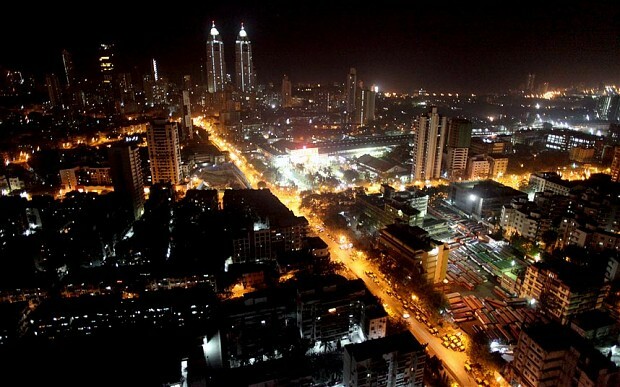 Mumbai- The City That Never Sleeps! Mumbai is happening in its very core. The city is full of exciting events, which provide a channel of entertainment and enjoyment to the people to break free from their monotonous work schedule. What make this city even more popular are the different flavours of events, which range from serious works to light and entertaining music. Providing a choice for every choice, Mumbai is surely the place to be. Here are some fun filled events in Mumbai for tomorrow, which are sure to shake up your soul. A beautifully crafted cultural event, Performing Arts is a great platform for enacting out traditional art forms, which are symbolic to the Indian Culture. Capturing the essence of culture from pompous Northern style to sultry Southern nature, the colourful Western region to the varied form of eastern India, this event will depict the diverse styles in the most elegant manner. Soak yourself in the traditional pool on 20th March at 7pm and gift yourself a mesmerizing evening. Piano lovers will have something new to witness. Helena Basilova, a pioneer in Russian genre of music, is all set to amaze her audience with some excellent pieces of Piano recitals. A composer herself, she has released many musical albums, which are noteworthy and have been appreciated for their melodious string. One can witness the serene piano vocals and recitals in her own voice at NCPA Mumbai on March 11th, 2015 and replenish in an experience, which will leave an indelible mark in one’s life. A perfect amalgamation of blending together dance form with the ideologies of Gandhi principles is beautifully narrated by the brilliantly choreographed performance of Dancer Geeta. A Padmashri recipient, she artistically portrays Bharatnatayam poses with some principles of Gandhi as it is. The beauty lies in depicting the revolutionized versions of the principles in a craftier manner. An uninterrupted sixty-minute performance encapsulating six brilliant concepts will entice you with the elegant moves and leave you thinking about the values, which have been ingrained into our culture thanks to the beliefs and motives of Gandhiji. Amaze yourself in this experience, which is planned to be held on 12th of March at NCPA, Mumbai. Splash in the vibration mode with the electrifying performance by Massive Live, all set to rock the stage on 12th of March at Blue Frog Mumbai. World renowned bands such as Hang Massive, Right Band, Victoria and Silvertortoise set up an amazing string of heart throbbing sound tracks coupled with excellent visuals, which is a delight for the audience. Foot tapping tracks will leave no stone unturned to make you and your loved ones dance their way out with exhilaration. Mumbai is the city which does not sleep and truly with such events, there is in fact no scope for sleeping. So soak yourself in the energetic mood and bathe in the shower of entertainment. Authors Bio: The author is an entertainment freak, who loves to explore diverse kinds of events in Mumbai for tomorrow and bring them to the audience. He is also a frequent blogger at eventshigh.